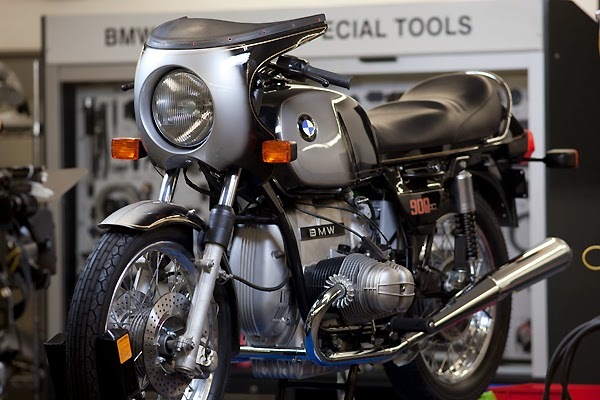 Tilted Horizons: Brand new old BMW!? 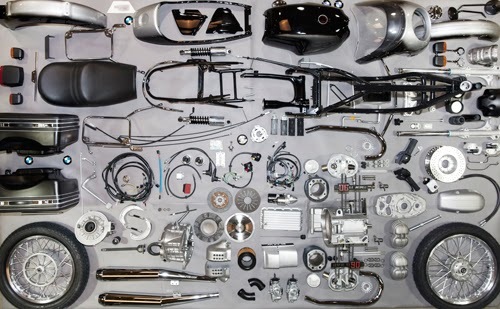 I love the old BMW R90S, evidenced by prior posts here and here, so a New Hampshire BMW dealer's efforts to build a 100% brand new 1975 R90S from genuine BMW catalog parts caught my attention (jeez, I have trouble getting OEM parts for my 10-year old Kawasaki.) 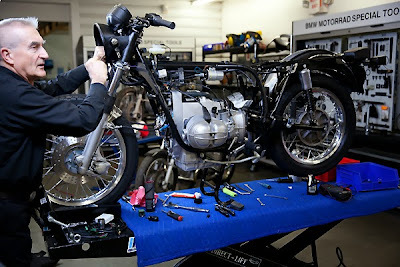 The build has been occurring over the last couple of days and should be complete soon. Click here to view the in-progress photos or live video feed. I can't imagine what the final cost will be, but it'll be worth it. Addendum 1/10/2014: Click here to see the (alleged) completed bike on it's first test ride!